Would you like to go on a musical journey into the heart of Indonesia? The Durham Gamelan Society provides an ideal opportunity to do so, without you having to travel beyond Durham University’s Dunelm House. This is where the Music Department’s Javanese gamelan instruments are housed – a large array of tuned gongs (some hanging from stands and others laid out on frames), glockenspiel-type instruments of varying shapes and sizes, and drums. The traditional Javanese music played on these instruments is both highly appealing – a many-layered wash of hypnotic reverberating sounds – and extremely challenging, being based on complex principles quite different from those of the Western Art tradition. Back in the early 1980s, Durham University was a pioneer in introducing the pleasures of Javanese gamelan music to the UK. 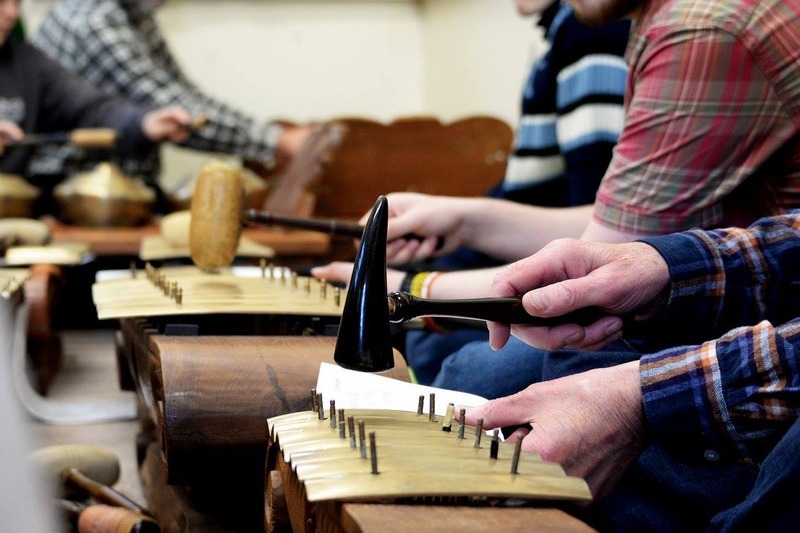 Since then, many other music institutions have acquired gamelan sets, but experts agree: the Durham instruments are of an unusually high quality, creating crystal clear sounds with highly distinctive character. 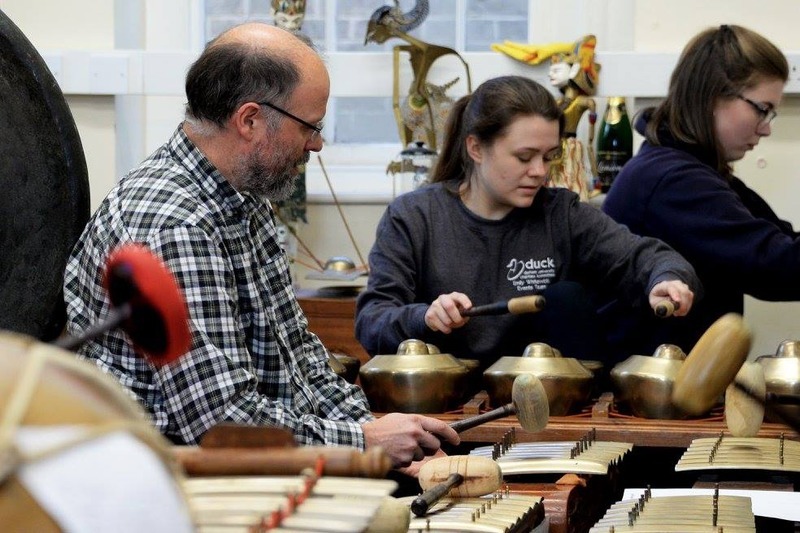 The Durham Gamelan Society has continued to thrive since those early days, meeting every Wednesday afternoon for friendly, informal practices and regularly giving performances, both in the department and at other events in the region. The Group is led by Paul Fletcher, who first joined in 1987, when he himself was a Durham University student – and who has been addicted ever since! The group is open to all and is a mix of university students and staff and community members. No western musical experience is required. There is no physical barrier to playing and a group of adults who thought they were unmusical, or a group of young children, or anyone else, can be playing real music within the space of a short workshop. The group is informal and friendly and puts on regular performances.